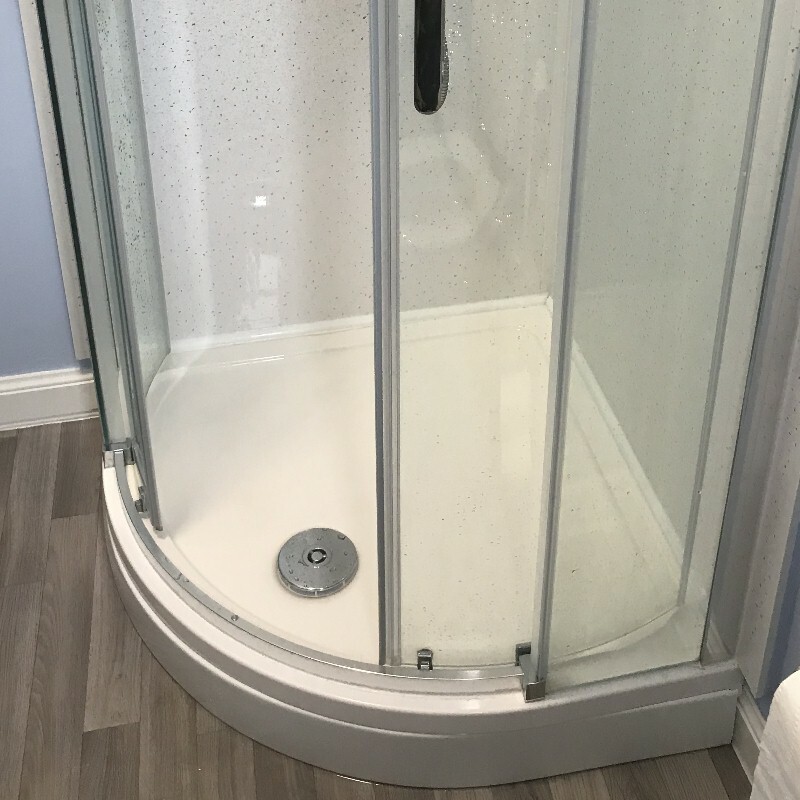 This customer decided that they needed a new shower cubicle. Having had problems with their previous cubicle they opted to turn away from tiles to a more modern wall covering. 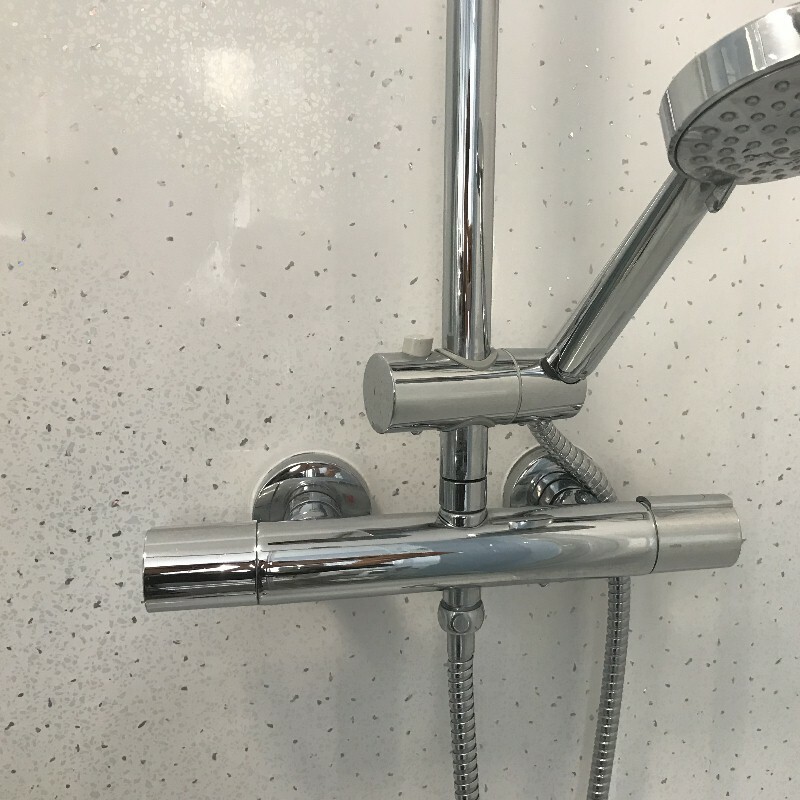 You can see more testimonials here from the thousands of satisfied customers who have transformed their bathrooms with our products. Shower wall panels are the obvious choice as they come with a range of benefits. Firstly they have no grout so there is nothing to turn mouldy. Grout has a terrible habit of causing problems in showers and a lot of times it can be more than just cosmetic. Mould grout can be indicative of grout failure. This is a big problem as it can lead to water egress which in turn can cause untold damage. By fitting shower wall panels you effectively eradicate most of the common problems in one fell swoop. This particular design is very eye-catching. The Neptune White Sparkle panels have a metal flake under the gloss surface which catch the light and provide the “sparkle” effect. 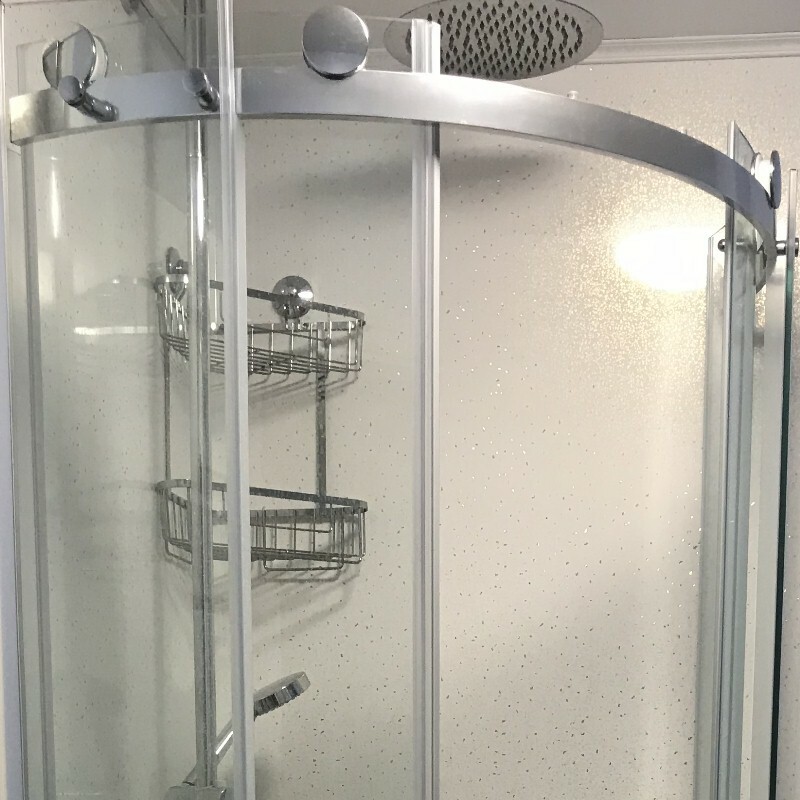 They are 1000mm wide so can be used in all but the largest shower cubicles without any joins. But if you need to join them they are tongue and grooved along the vertical edges so they simply slot together.